How bad do you want it? 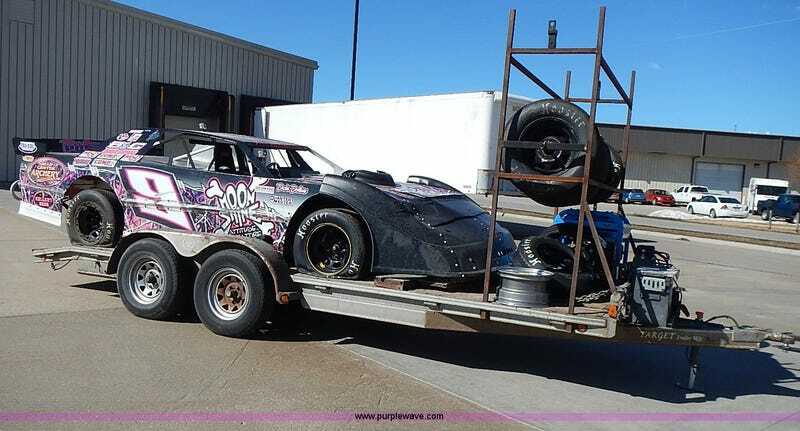 For $1350(current bid) you could be racin'! I was just looking through and noticed this and thought one of you bastards might want to start a racing career and the price has got to be NP. The trailer is worth half that alone. edit: link might help - BOOM! Racecar.